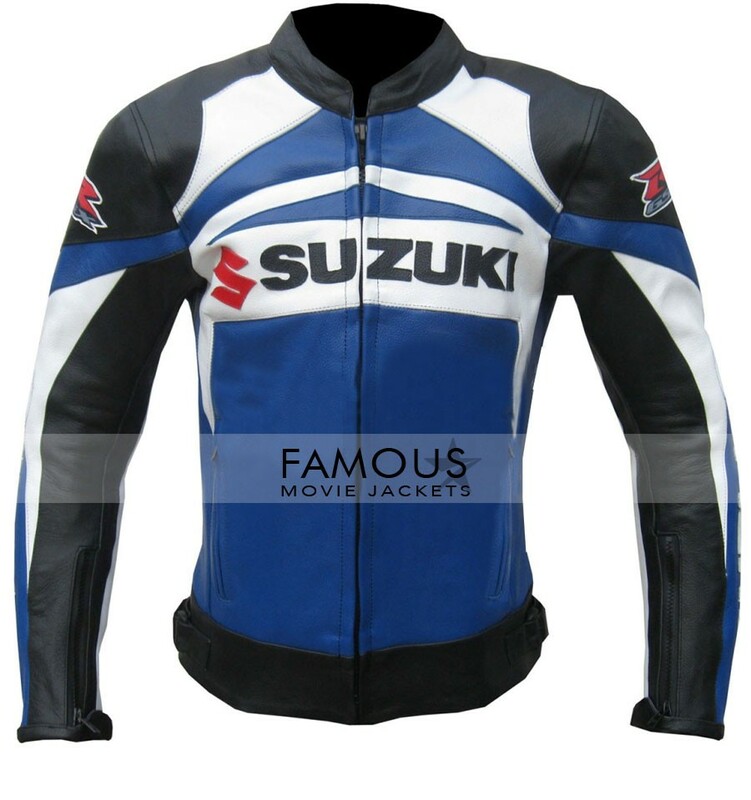 Rider holds up your hearts because your desires are going to fully fill by famous movie jackets on just one click. Yes, we proudly present you Suzuki GSX-R Blue Jacket with a top class finishing and heart stealing looks. It is the only thing which will definitely amaze the watchers while you ride your heavy sports bike on the track. The inner lining thatâ€™s never feel you uncomfortable. 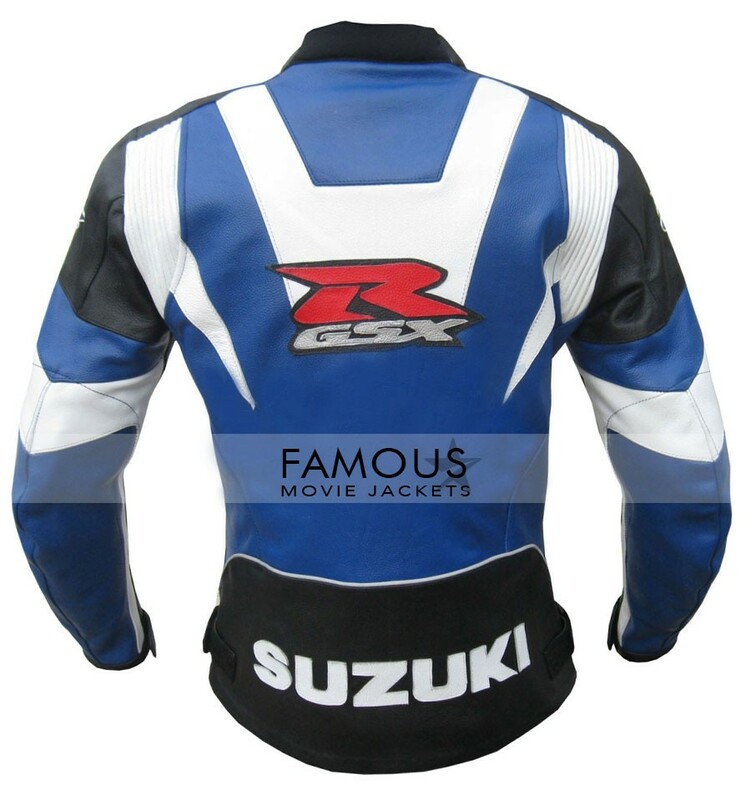 This Suzuki GSX-R jacket is a sole representation of best biker style with round neck collar and YKK zipper in front for closure. The genuine leather that speaks the quality & sophisticated looks makes this outfit very gentle & unique. Order it now boys because things like this come in centuries for sale nowadays. Wear like bikers steal like bikers! !